Israeli-based defense technology company Rafael Advanced Defense Systems Ltd. announced on Sunday it is opening a local company in Melbourne, Australia. 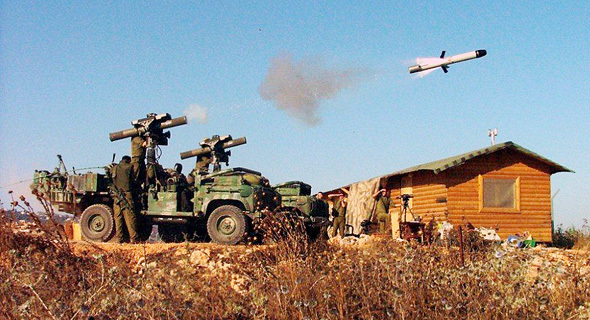 The new company, which will be jointly run by Israeli and Australian teams, is part of Rafael’s plan to expand its operations and marketing efforts in the country ahead of what the company referred to in the announcement as “significant arming programs” of the Australian army. A number of Rafael technologies are already being used by the Australian military, including remote controlled weapon systems, naval defense technologies and aerial strike guidance systems, Rafael said. Rafael did not disclose a timeline for the new Melbourne-based company. Giora Katz, executive VP of marketing and business development at Rafael, said that the company already signed agreements with Australia's Bisalloy Steel Group for the supply of metals for the manufacture of military systems and with engineering and manufacturing company Varley Group for collaboration on the joint production of missiles. Mr. Katz added that Rafael's global strategy is to create local partnerships worldwide, to meet growing global demand. Rafael already has more than 100 collaborations worldwide, including a missile manufacturing facility in India, the company said. In October, the Israeli Ministry of Defense announced a plan to loosen restrictions on defense exporters, making it easier for defense companies such as Rafael, Elbit Systems Ltd., and Israel Aerospace Industries Ltd. to market cybersecurity and homeland security technologies to over 100 pre-approved countries.